Getting rid of plastic is a hot topic amongst our clients at the moment. It’s turning me into a geek (well, even more of one if you take into account my plane spotting tendencies!). I’ve had to fill my head with a plethora of factoids about this subject. Plastic has become the big evil, but is it? Mr Attenborough’s impressive Blue Planet 2 series has ignited the conscience of the British public who have conveniently adopted the, “It’s not me Gov” approach and blamed SUPS for the chronic pollution of our oceans. Really? It’s us humans who don’t dispose of plastic correctly and its governments who don’t invest to ensure we have adequate waste management systems in place to recycle the plastic. Don’t blame it on the plastic it’s your accountability – ok! For years we shifted the onus onto China by literally shipping all our plastic rubbish to them, but they’ve decided they don’t want it anymore – Quelle Surprise……………. To be clear PET or Polyethylene Terephthalate (it’s big boys name) from which most plastic food packaging is made, is one of the most sustainable forms of packaging. Did you now that PET is also used in fabrics (i.e. clothes) and is called polyester – wow. Some factoids for your consideration. You have to reuse a “bag for life” shopping bag 175 times before it’s carbon foot print matches that of the 5p carrier bag. If you used to use the bag as a bin liner the figure is 250. Aluminium cans have a much higher carbon foot print than plastic, as the ingredient to make it has to dug out of the ground and then processed. 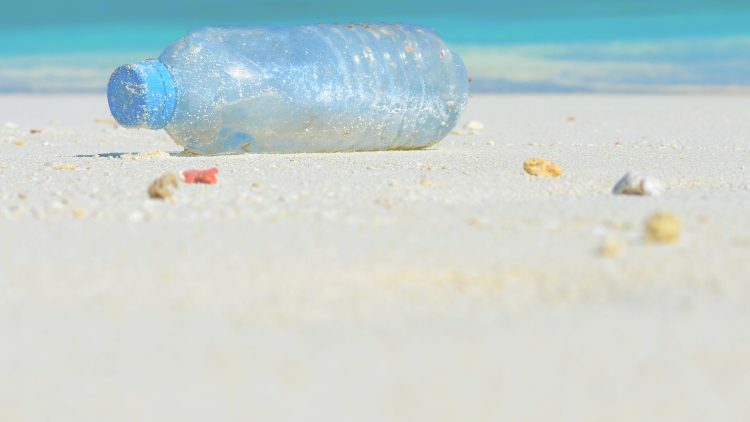 Glass bottles have an even higher footprint than cans as the sand has to be extracted and then heated to 1700 C to turn it into a liquid and make a glass bottle. Then it has to be transported and as it’s very heavy, it generates lots of emissions into the atmosphere. Paper bags to replace plastic? NO! Paper bags come from trees which have to be grown, then cut down then processed in paper so carbon footprint is massive by comparison. PET is a by-product of oil. It has a very low carbon footprint as the oil is already out of the ground. Because it’s a by-product, it’s cheap to produce. Very easy to transport as it’s light. That said, there is a case for reducing the amount of waste we generate, until individuals and governments can dispose of it in responsible and sustainable way! The most significant action you can take is to buy a reusable water bottle, preferably double skinned so you can enjoy chilled water during this freakishly good summer we are fortunate to be experiencing. It will cost you between £15 -£20 (for a trendy stylish one) but if you consider how much you spend on bottled water each week you’ll recoup your investment in about 2 weeks. Use reusable salad containers when buying your salads for lunch. If loose veg is available where you shop don’t buy the packaged stuff. If it keeps getting left over and they have to reduce it or waste it (not a good outcome in the short term admittedly) the powers that be will soon consider alternatives. If there is no non-plastic alternatives when you shop go and harass the store manager and challenge them as to why not. Make sure you reuse your “bag for life” at least 175 times ? STOP throwing any plastic in the wrong bin – make sure it’s a plastic recycling bin. Judge people using a SUP water bottles in the same way people judge smokers.